Rose tracks the development of a confused, creative girl in this debut bildungsroman. Growing up in 1960s Texas, Airstream is at odds with her parents. Her mother, D.J., is the bullying, artistically inclined daughter of wealthy cattle farmers; her father, Mitchell, is the rage-filled aspiring ball player who impregnated D.J. Airstream is named for the trailer where her parents lived during D.J.’s pregnancy, before they were given a large home in a prominent neighborhood by her grandparents (with the understanding that they’d buckle down and stop embarrassing the family). Yet D.J.’s pathological insistence on being “u-niqe” and Mitchell’s abusive temper only increase over time, driving Air deeper inside herself. After the family moves to California, she discovers a group of personalities in her head that whisper to her in voices that only she can hear. When her parents kick her out of the house on her 18th birthday—she comes home to find her belongings stacked unceremoniously on the front porch—Air confronts a confounding world of men, promises, and compromises. She decides that she will become an artist, but she must also find a way to love herself, regardless of the affection she receives from other people. That, and tame the voices in her head. Rose writes in a conversational prose that is never far from Air’s thoughts: “She wondered what she was missing out on. It seemed like all her girlfriends had boyfriends walking with them. Did they hang out somewhere before going home?” The plot builds via a slow accumulation of events, and, while it never becomes truly compelling, it settles into a rhythm that keeps the reader engaged. Though the novel is at least 100 pages longer than it needs to be, the comprehensive exploration of Air’s life, from the trends that shape her to her attempts to escape them, succeeds in presenting the reader with a fully developed character. In the unlikely specificity of Air’s problems, the reader finds a human that feels surprisingly universal. 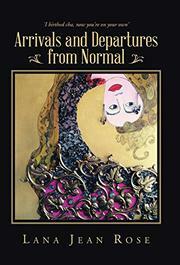 An evocative novel that details the gradual evolution of an artist and a woman.